And if it looks familiar (say... like something in this previous post) there is a good reason for that! 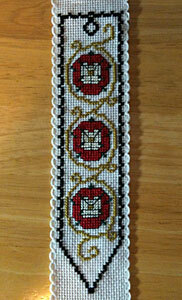 A friend went to the UK recently and brought me a Tudor rose bookmark kit that I had already done before. 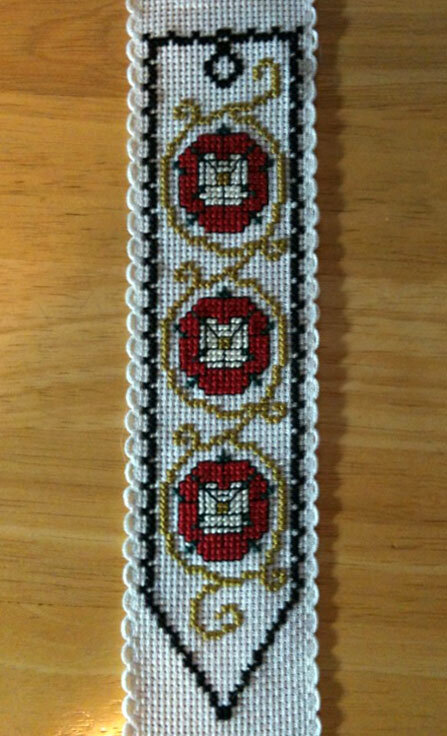 I was planning to stitch them together and make it two-sided until I discovered that one was 14-ct and the other was 15-ct. Oh well, I guess I have two now! Now I think I'll try to finish a few of the autumn and Halloween projects I started last year (and the year before that - yes, I still haven't finished Halloween Fairy!). Thinking of the fall is about the only thing that gets me through Texas summers.